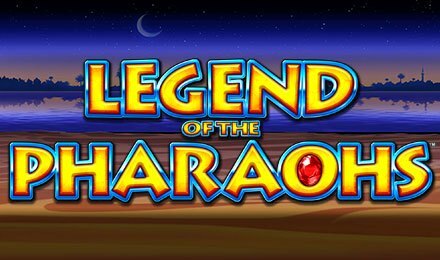 Legend of the Pharaohs slot is a 5 reels and 25 paylines slot game created by Scientific Games. Themed on the famous Egyptian design, while spinning the reels of this innovative game, you will find yourself in a temple surrounded by the god Horus. The pillars of the reels are coated with hieroglyphs, and contain highly rewarding symbols as well. Symbols you will find landing on the reels of this slot game are: Ankh, Eye of Ra, Osiris, Scarab, 10, J, K, Q and A. Pays on Legend of the Pharaohs slot are awarded when three or more adjacent left to right combinations are made. So, all you have to do is make winning combinations on active paylines. Select your desired number of autospins to play by clicking on the Autoplay button. In the Bet Field, use the + or – buttons to adjust your stakes. Bet Levels: No bet levels are available. Amount of Paylines Selection: All 25 paylines are fixed. Coin Values: Select your coin denominations from £0.20 to £500.00. The Golden Wild takes form of the Wild Symbol of the game. It appears on only reels one, two and three, and replaces all other symbols to help form winning combinations except for the blue and red pyramid symbols. The Free Spins Feature is triggered by landing three, four or five blue pyramid scatters anywhere on the reels. When triggered, you will receive 10 free spins, with one, two or three of the bonus features. Wild Reels: One reel becomes completely wild until the end of the free spins. Win Eliminators: Starting with the lowest value symbols, up to five symbols are removed from the reels. Wild Symbols: Each symbol on the reels are transformed into wilds until the end of the free spins. Colossal Symbols: One symbol is picked to become a colossal symbol, and it will cover all positions of reels two, three and four. Landing two, three or four Red Pyramid symbols during this bonus round will award extra free spins and more bonus features. The Big Bet Feature consists of five linked spins in which you get to collect scatters rather than having to land them in one spin. Collect two scatters and receive a spin on the Wheel of Fortune to get the third scatter or cash prize. There are four types of Big Bet spins with stakes that are fixed. These are: £20, £30, £40 or £50.